MANISTEE, Mich. – Through its national partnership with the nonprofit organization Honor and Remember, SpartanNash recently presented a local family with a personalized Honor and Remember flag to honor the ultimate sacrifice made by their son. On Friday, Jan. 20, SpartanNash Vice President of Corporate Affairs and Communications Meredith Gremel and Family Fare Supermarket Store Director A.J. 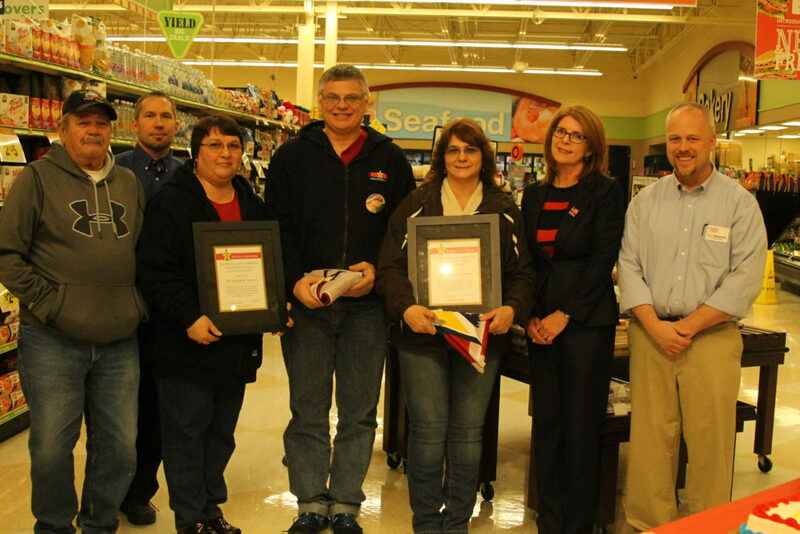 Swander presented the Honor and Remember flag to Rob Lancour and Starla Owen as a public symbol of appreciation. Lancour and Owen accepted the flag in remembrance of their son, Army Specialist (SPC) Joseph M. Lancour of the U.S. Army 173rd Airborne Brigade, who was killed in 2007 by small-arms fire while serving in Afghanistan during Operation Enduring Freedom. Together with Honor and Remember, SpartanNash is working to present personalized flags to all families who have lost a loved one in military service to America. Each personalized flag includes the name, theater of operation and date of death of the individual and serves as a visible reminder to all Americans of the lives lost in defense of our national freedoms. SpartanNash retail stores – including the Manistee Family Fare Supermarket – fly the Honor and Remember flag at its corporate-owned stores, and the company displays the flag artwork on its fleet of tractor trailers, which travel 50 million miles a year. The Honor and Remember Flag was unveiled at a ceremony on Memorial Day, May 26, 2008. 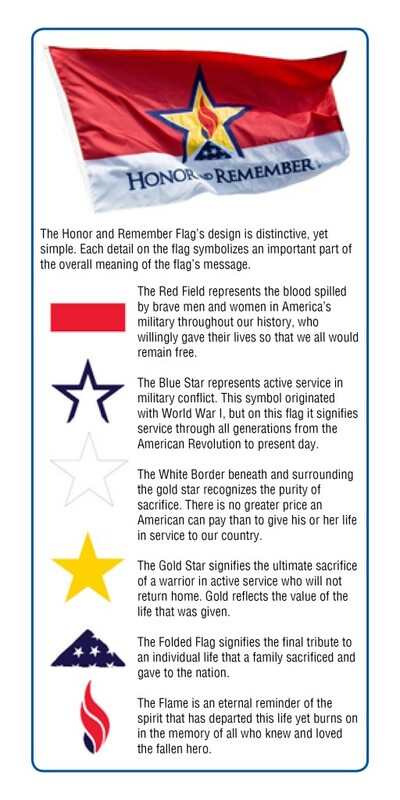 The mission of Honor and Remember is to create, establish and promote a nationally recognized flag that will fly continuously as a visible reminder to all Americans of the lives lost in defense of our national freedoms. The flag is meant to be a public symbol of appreciation that honors all military lives lost while serving since our nation’s inception. Personalized flags are regularly presented to individual families of fallen service members. Each personalized flag contains the name, theater of operation and date of death of the individual. The flags are presented at both private and public occasions. Honor and Remember, Inc. is a 501(c)(3) charitable organization. For more information, please visit www.honorandremember.org.